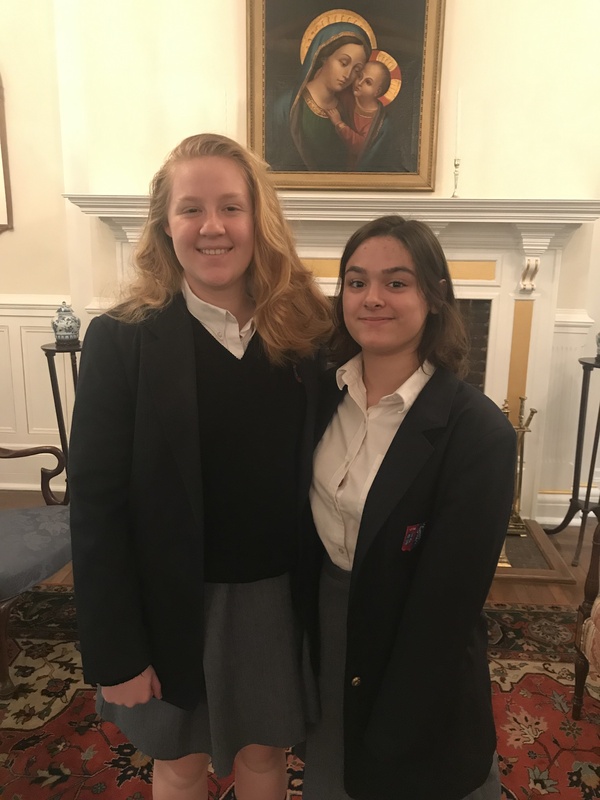 Mrs. Guen Farrales, Academic Dean has announced that The New York Academy of Sciences’ Global STEM Alliance (GSA) is gearing up to welcome SDA sophomores Courtney Martin and Isabella Trezza into the fourth cohort of its global 1,000 Girls, 1,000 Futures mentoring program. The New York Academy of Sciences matches female STEM-interested high school students with volunteer mentors. In 2019, the GSA 300 accepted students who will be paired with female scientists, engineers, postdoctoral fellows and other STEM professionals dedicated to inspiring and motivating the next generation of STEM talent. The Global STEM Alliance is a global talent identification and cultivation network with more than 300 partners in over 100 countries. It’s purpose is to prepare the participants through three key program areas: mentorship, skill building and the application of skills to real-world challenges. They have partnered with Arconic, Motorola and Johnson & Johnson to bring this mentoring program to STEM-interested students from around the world. Courtney and Isabella will each be working with a mentor assigned by the Academy on coursework emphasizing college readiness, leadership, communication, and critical thinking. They will each also network with a group of peers and STEM professionals on a virtual platform.